As we reach the end of the year, we would like to remind you to take advantage of any dental insurance benefits that you may have left before they expire. While treatment is never dictated by insurance, if you have treatment that you have not scheduled, or are experiencing any dental concerns at all - now is a great time to come in before the year is over. 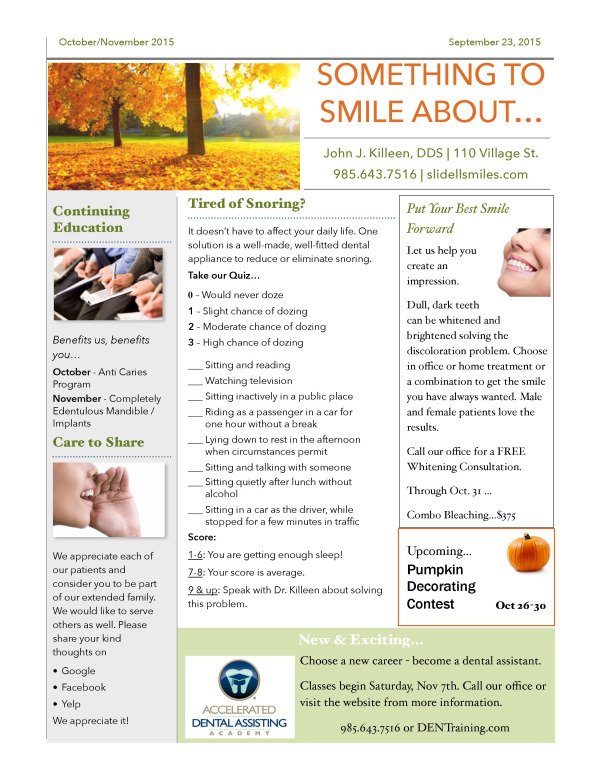 Please give us a call or email to schedule an appointment or to discuss the details of your dental care. We’ll be happy to answer any questions about treatment, your insurance benefits, or CareCredit. We love continuing education. It is good for us and good for you! We are able to learn about the newest techniques and materials to help you keep your teeth for a lifetime. Dr. Killeen has been invited to participate in the Spear Study Club. This study group concentrates on a comprehensive, multi-disciplinary approach to your treatment. This allows you to be treated by a specialist in each field with Dr. Killeen directing and coordinating your treatment so you receive optimal care and his restorative expertise. Thank you to all of our patients and friends who have contributed so generously to our latest community project, St. Jude Hospital. We have raised $325.00 this year. Dr. Killeen will match the contribution so the total donation will be $650.00 to this very worthy cause. Movies are available during your appointment and if you are waiting for a brother, sister, mom or dad to finish their appointment. Just ask to view your favorite title!! We have also added MP3 players featuring Local Jazz music, current tunes and Country music. Just ask to listen to your favorite genre. A Fisher House is a "home away from home" for families of patients receiving medical care at major military and VA medical centers. The houses accommodate 16 to 42 family members. They are given to the United States government as gifts. More than 130,000 families have been served since 1990. 7,500 of those families have been the families of combat casualties. Fisher House needs our support. They ask for very little. They are asking for BEEF JERKY, HARD CANDY and LITTLE DEBBIE CAKES. If you would like to help, please bring your donation to our office. We will be shipping the goodies and notes to the soldiers on July 16. Thank you for your support. We have just returned from the American Academy of Cosmetic Dentistry Continuum in Grapevine, Texas. It was an exciting, fast-paced week of dental education. We are returning with the latest research in caries (cavity) prevention. Some of our patients already know the advantage of fluoride varnish as we have been using it at your recare appointments if you are at high risk for decay. We will be sharing other products that can be used to reduce your risk in the very near future. Our staff will be attending the New Orleans Dental Conference/Louisiana Dental Conference from April 8-10. Dr. Killeen and Lana will be attending the American Academy of Cosmetic Dentistry Continuum from April 26-April 30. We are always excited to spend time together learning the latest in dental science and technology. We all had a great time celebrating the Saints' win. Thank you to all of our patients who participated in our weekly drawings and wore their favorite fan gear to their appointments. Our office will be participating in several on-going community projects this year. Our first will be supporting our troops. We will be collecting supplies for the wounded. Once soldiers are wounded, they often do not have pajamas or toiletries while recuperating. Supporting the patients at St. Jude's Hospital will be a year-long project. We are working hard to fill a very large container with monetary donations. Each day we place our donation and our patients drop in their donations as they can. We hope to raise at least $2000.00 by December 31. 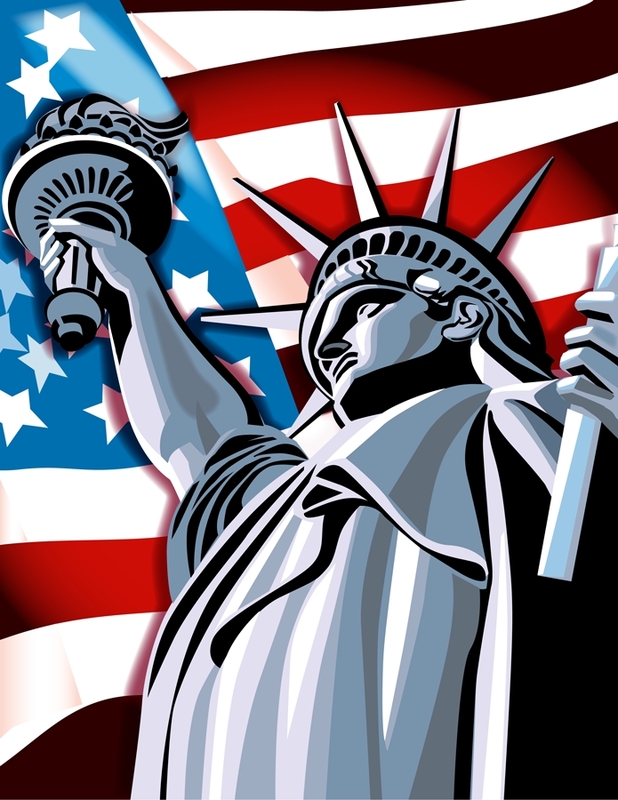 We plan on sending American Flags to our troops with notes from our patients in celebration of July 4. We appreciate our independence!! Stay posted for upcoming projects!! Diana, our hygiene appointment coordinator, will be moving to Tennessee. This has been a life-long dream and she is finally able to make it come true. We will miss her!! Welcome to the New Year! We have a lot in store for the New Year in our office. We will be spending many days in Continuing Education bringing our patients the latest research information about implants, materials to restore teeth as well as new ways to reduce your risk for cavities and periodontal (gum) disease. We would like to wish all of our patients and friends a wonderful holiday season and a joyous New Year!! A great big thank you to everyone that voted online during our Staff Pumpkin Decorating Contest. As usual, the competition was stiff as all of the pumpkins were very creative. Diana has been crowned, "Pumpkin Queen", a title she will keep until next Halloween!! We have posted the artist's name next to the pumpkin under the HALLOWEEN tab. Our annual contest is quickly approaching. My how time flies!! Remember, last year's winner was a terrific version of Dr. Killeen and Lana. You can see the entries by scrolling down. We have great news for this year. You can vote online if you are unable to come in. However, the online votes only count for 1/2 of a point. So....if you are in the neighborhood, come on in and have some coffee and cast your vote. Voting begins during the last week of October! Combine coffee, Coffee-Mate, sugar and cinnamon, stir and pour into 2 large mugs. Top with whipped cream. 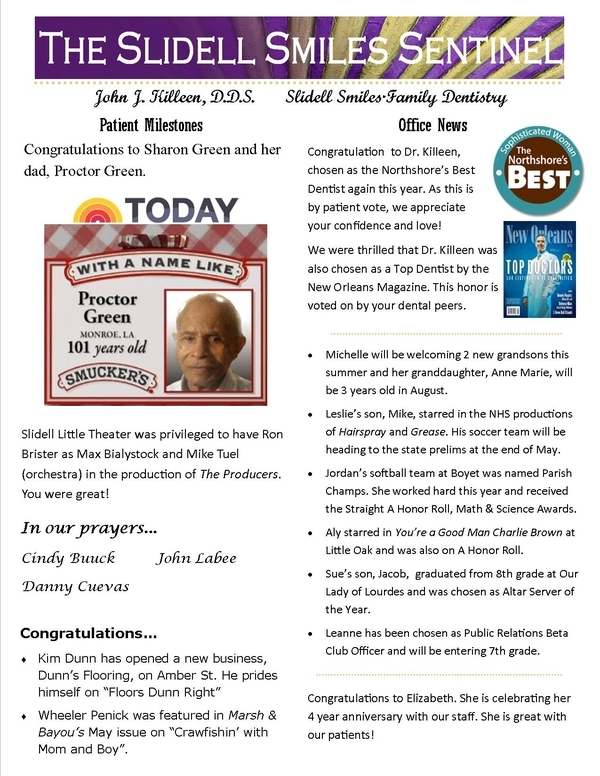 We have just returned from the New Orleans Dental Conference. Our staff enjoys attending every year. We were able to receive the latest educational information and see new products, materials and equipment to help our patients. We're looking forward to a new toothpaste which helps reduce sensitivity as well as remineralizing tooth structure. This is especially helpful because the acids in our diet wear away the enamel structure of the tooth making it easy to decay and appear very dull rather than shiny. 1. Let us know if your health history has changed. Be sure to let us know what medications you are taking at every appointment. 2. Don't put off your appointments. 3. Take your medications as directed and take the full prescription. 4. Let us know your concerns at your recare appointments. 5. Share your family history with us. It reveals a lot about your future. If we all try to follow these resolutions, your appointments will be even more successful!! We have just returned from a terrific continuing education course concerning esthetics using a multi-disciplinary approach. We have been using this approach for many years and work very closely with orthodontists, oral surgeons, periodontists and endodontists. This insures our patients of having the very best treatment and enables us to find the best solutions to dental health problems. The class was very informative and very special since the speaker, Dr. Vince Kokich, will be retiring from public speaking after this year. We were honored that we were able to attend and bring the latest information to our patients. We would like to take this opportunity to wish all of our loyal patients and friends a wonderful New Year. Let's hope that the upcoming year brings good health, good times and good memories!! We appreciate each and every one of you and enjoy taking care of you. We consider you as part of our great, big extended family and enjoy watching our young patients grow, our students do well, our young adults get married and our older patients just keep getting better!! We look forward to seeing every one over the next few months during your recare visits. Here's to a fine 2009!!! We are approaching that time of year again...when time flies and there is never enough time to finish everything. That includes remembering to maximize our dental benefits and get any unfinished dental work completed before losing the remaining benefits. Our schedule becomes full very quickly at this time of year. Many patients are already planning their dental work to take advantage of 2008 and 2009 benefits and scheduling for December and January. Take a look at your treatment plan or ask us to check it for you. We also provide printouts of all of your work for the year. This always helps when filing your taxes. Just give us a call...we are happy to help! Our annual pumpkin contest was a great success! Lots of our patients stopped by to vote even if they did not have an appointment. Our staff is really competitive and count the votes at the end of every day! Leslie and Lura placed first with a great rendition of Dr. Killeen and Lana. Diana had the cutest sleeping bear and came in second. Elizabeth loves hamburgers and came in 3rd. Sue's owl was full of feathers and came in 4th. Michelle had a terrific little creature with a fishing pole and came in 5th. A great time was had by all and we celebrated with lunch and the crowning of our annual Halloween queen(s) at Palmetto's. This is the week you've been waiting for........Halloween........and our great pumpkin decorating contest. Each staff member decorates a real pumpkin and then our patients cast their votes for their favorite. The competition is really fierce because the winner receives the title of "2008 Pumpkin Queen"!!! This coveted title comes with a crown and scepter, believe it or not! We invite you to stop by and vote, even if you don't have an appointment, and get a treat. We promise there will be no tricks! This is such a fun week. Don't miss it! Remember, you can reach us through email at Appointment@SlidellSmiles.com to let us know if you need us while the office is closed. We will use our new email and text messaging system to remind you of upcoming appointments or any other news if the phone systems are out of order. Our email will be checked daily (if possible) during the storm. We are also introducing our new "Smiledash" website where you can check your account and appointments online. Go to Smiledash.com to sign up. You will love the convenience of this new system. Our office will be closed until Thursday, September 4 at 8:00 am due to Hurricane Gustav. Should you have a dental emergency, you can reach Dr. Killeen by calling the office and following the latest emergency instructions. We will try to be accessible as long as the telephones are working!! Good luck to all and be safe!! We have all been enjoying the Olympics as we are sure you have been, too. The American teams have really made us proud!! We have set some "Olympic" records in our office lately. We have been able to help more and more patients replace missing teeth with implants. We have instituted several finance programs that assist you with payment up to 5 years. This makes your treatment affordable and easy to budget. We are able to include the surgeon's fee so there is only one payment. 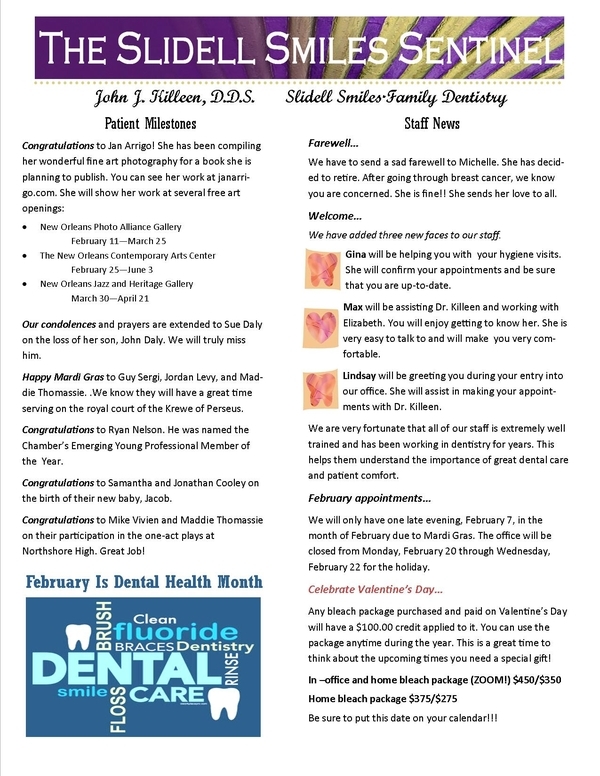 We are proud to help our patients smile again! We will be attending the "Immediate Placement of Crowns on Implants" class coming up on Friday at LSU School of Dentistry. This class will bring the latest information on crown placement at the time of implant placement. This is great news for patients that are having implants placed in the smile zone. You can have a new smile while the bone is integrating with the implant. Isn't modern dentistry terrific? Several of our staff members visited the "Our Body, The Universe Within" exhibit at Mobile's Gulf Coast Explorium Science Center. We were particularly interested in the lung exhibit. It was easy to see how smoking can affect your health. The lungs showed deposits of tar and chemicals from cigarette smoke. This can cause lung cancer which is usually fatal. If you are interested in a Smoking Cessation program, let us know. 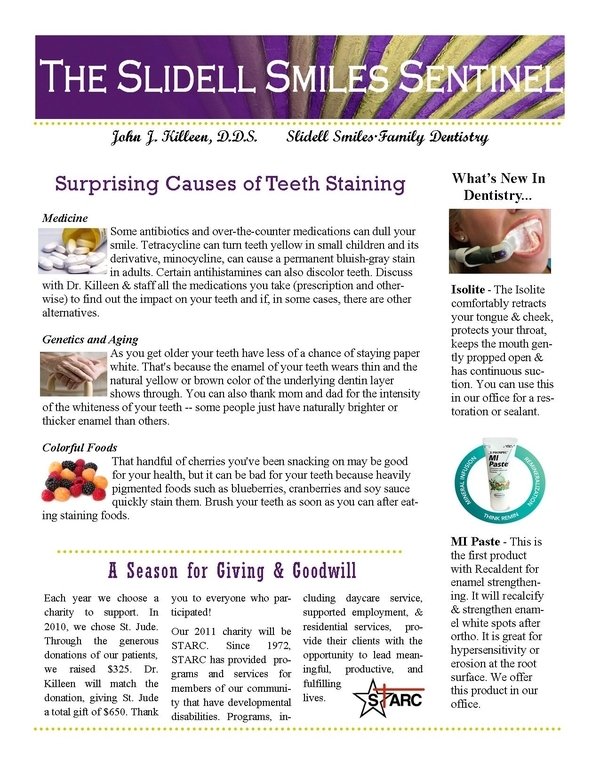 We hope everyone is enjoying the Smile Reminder program. It is a great help to be able to confirm your appointment by text message or email. If we don't have your current email address or cell phone, be sure to let us know. Smile Reminder is giving away a trip to Jamaica in November. Every patient with a registered device will be entered into the drawing. If we are already reaching you by text message or email, you have been entered. Good luck!!! We hope one of our patients is the lucky winner! A big welcome to Elizabeth, our new staff member. You will be able to meet Elizabeth in our hygiene department when you have your teeth cleaned. Her beaming smile and cheery personality will make your day as she assists Sue and Leslie. Dr. Killeen and Lana have just returned from the annual American Academy of Cosmetic Dentistry meeting. This exciting meeting was held in New Orleans this year. It gave the city an opportunity to really shine for all of the visitors from across the United States and many foreign countries. We will be sharing new techniques and technologies with our patients in the upcoming months. Smile Reminder: Confirming your appointment becomes easier as we text and email reminders. You will be able to confirm by phone, text message or email. 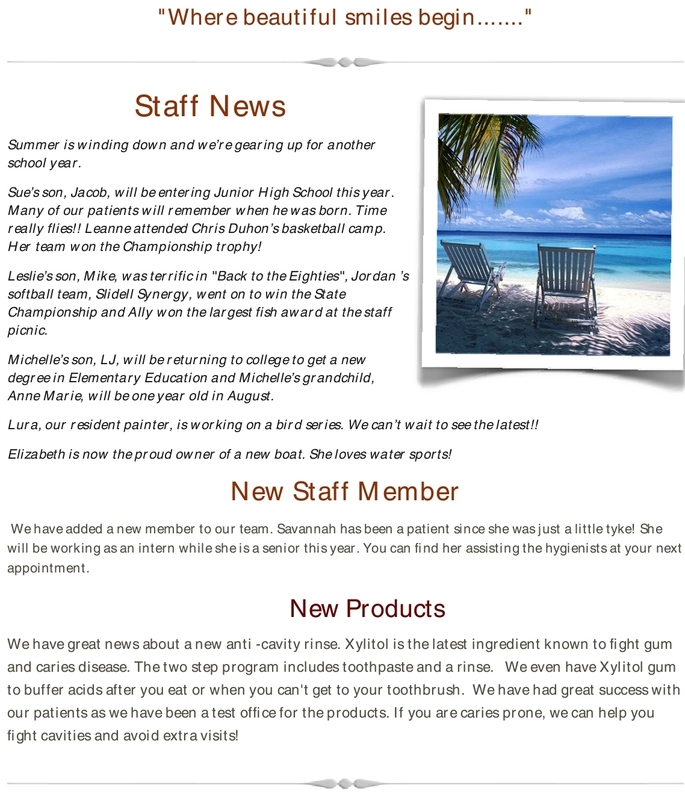 We will also send you the latest dental information through our newsletter. Laser Dentistry: Impressions become easier for the patient, healing is quicker and appointments become shorter using the newest technology in dentistry. Isolite: Meet "PLUTO", our newest assistant. Actually, "PLUTO" helps to keep your tongue comfortable and suctions at the same time. What a great help for the patient!! !